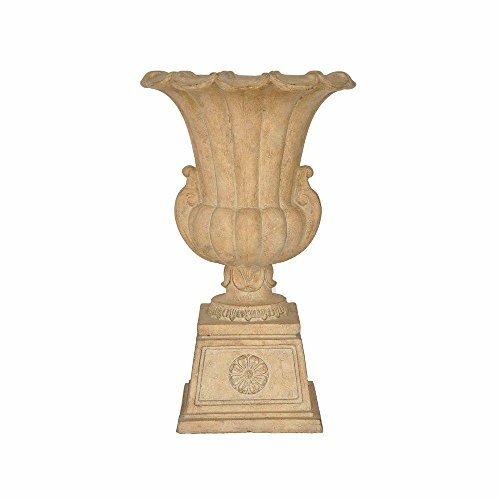 This exclusive urn is intricately detailed with a fluted body and softly curved handles atop a square medallion pedestal. It will make a strong, memorable statement leading into your home or garden. Constructed of a blend of natural stone, resin and fiberglass, the planter is lightweight, watertight and weather resistant. The 85% crushed natural outer stone surface ages to a beautiful time worn, old world hue as it weathers.